You’d think in-flight internet access would be an easy sell. Well not to everyday Australians. In February 2012 Qantas trialled in-flight WiFi in some of its A380 services. It was ridiculously expensive, limited to first and business, and Qantas admitted that most of their A380 services operated at night so people were asleep. Worse, customers didn’t understand why they needed internet access on a flight. A common theme amongst Aussie business travellers at the time was that flying was their time to avoid the office, not be connected to it. Things have changed. Qantas is now focusing WiFi on their domestic services and an NBN satellite makes coverage and access a breeze in comparison to the 2012 trial. Qantas also learnt from their biggest mistake: They’ve partnered with Foxtel (Australia’s pay TV provider), Netflix and Spotify to help Australians understand why they need in-flight WiFi. It’s the power of a good brand alliance. Despite internet usage at home being part of everyday life, in-flight WiFi to many Australians is still hard to imagine, especially to those who haven’t travelled to places like the U.S.A (where it’s common). By partnering with three well-known entertainment companies, Qantas has relegated the technology to the back seat and helped customers think about the benefits of in-flight WiFi: watching Matt Damon kick in doors, or enjoying a beer while Kevin Spacey slithers around Washington DC. Everybody understands why they want that. Everybody understands why that will make travelling with Qantas a great experience. Katy Perry, not Mbps. Suits, not satellites. 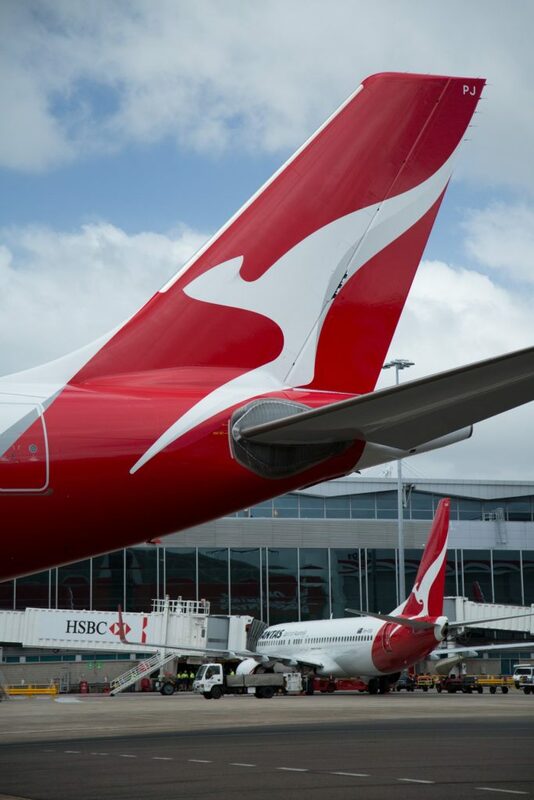 Keep Qantas’ experience in mind on your next project or trial. Is there a complimentary partner in the market that helps you position your product or service? Be careful the partnership isn’t a distraction from what you’re trying to achieve and think about the depth of it: Are you teaming up on a marketing campaign or are you going further and developing a product together? Oh and make sure you can deliver on the promise, otherwise it’s going to hurt both of you. Qantas seems pretty confident on that point this time around. Qantas aircraft photograph source: Qantas. 0 Comments on "Lessons from Qantas’ WiFi trial: What marketers and project managers can learn"